3-Ruby May Goss was born on 1 Sep 1900 and died on 17 Jul 1984 at age 83. 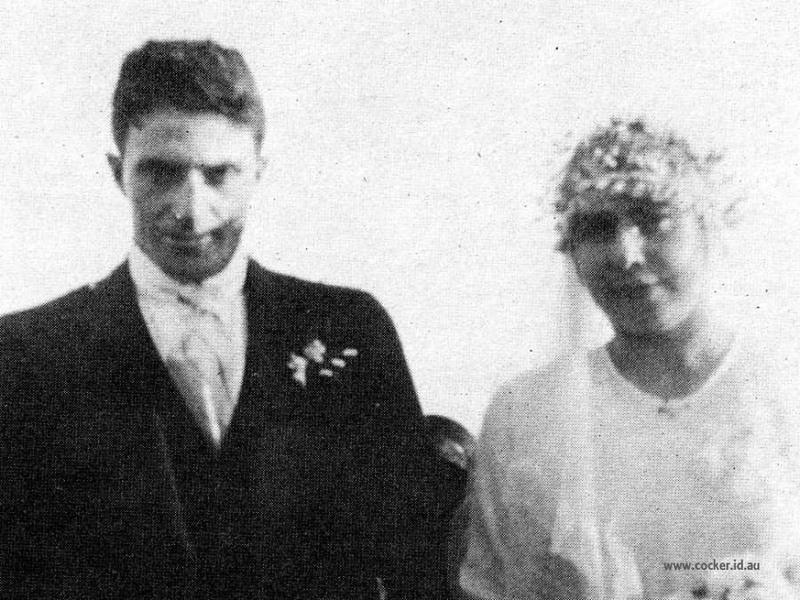 Ruby married Andrew Samson Jeffrey, son of Charles Jeffrey and Jane Andrews, on 4 Jul 1923 in Barrington, Tasmania. Andrew was born on 8 Feb 1900 and died on 11 Dec 1945 at age 45. He served in the First World War. Ruby May Goss married Andrew Jeffrey in Lower Barrington Baptist Church on 4th July, 1923. Prior to her marriage Ruby was working at the Lower Barrington General Store. Andrew was the third son of Charles Jeffrey and his wife Jane, nee Andrews of Wesley Vale, who had a property at Barrington. Andrew had enlisted for World War I at just 16 years of age, following in the footsteps of two older brothers who were already serving overseas, and managed to leave Australia, but was brought home at his mother's request. Arthur and Ruby lived and worked on the family farm until Andrew died at the comparatively early age of 45. Ruby then carried on with the help of their son, Rex, who still works the property and is as yet unmarried. In 1967 Ruby moved to Devonport, where she became an ardent church-goer and worker, undertaking in 1960 and 1970 visits to England which are believed to have been church related. In 1980 Ruby returned to the Sheffield area, living at Tandara Lodge until her death in 1984. Her only daughter, Betty, had followed nursing as her profession, serving as Matron of Wollongong hospital for 20 years, and currently working as a general supervisor of all hospitals in the Wollongong area. 4-Rex Andrew Jeffrey was born on 14 Apr 1924. 4-Betty May Jeffrey was born on 26 Apr 1930.